Bart's Lock and Safe Service offers residential, commercial, and safes locksmith services in San Jose and surrounding areas. Bart's lock is locally owned, mobile only, Professional Locksmith service business based in South San Jose, CA. We at Bart’s Lock, endeavor to provide the best professional Locksmith Service possible for our customers. 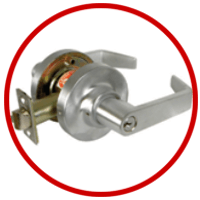 Some of the residential services we offer are, Rekey Lock Service, New lock Installation, Lockout, Furniture keys, Repair Locks, Safes opened and Repaired, Door Adjustments, Sliding Glass Door Locks and much more. Bart's Lock is the mobile locksmith in San Jose you want to call. 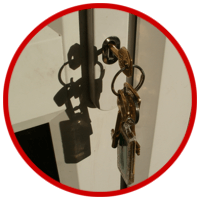 Do you need a Commercial Locksmith to rekey your commercial property with or without a master key system? Bart’s Lock and safe Service based is South San Jose, CA and can provide professional Locksmithing services such as Master Keying, Commercial Hardware, Door Closer, Door Adjustment, Panic Bar, ADA, Eviction, Safes Opened & Serviced, Office Furniture Locks & Keys, Emergency Lockout, Postal Box Locks & Keys and Much More. Call Bart’s Lock and Safe Service for an Estimate. 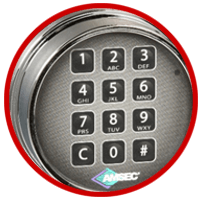 If you lost safe combination, experiencing a safe lock malfunction, or need to service or repair your safe, then you are looking for a trusted safe locksmith. Bart's Lock and Safe Service in San Jose provides professional mobile safe locksmithing services for both commercial and residential clients at reasonable rates for almost any type of safe - antique, home or commercial. In case you are looking for safe deposit services, digital lock retrofitting, and much more, Bart's Lock is the mobile locksmith in San Jose you want to call.